Find out how dentures can give you a full smile and revive your overall appearance. 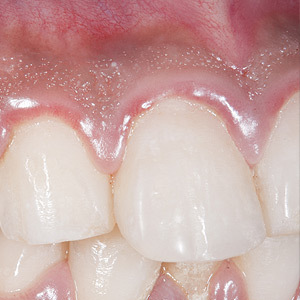 When we think about dentures we often picture older adults wearing them. But with millions of Americans dealing with tooth loss, including full or significant tooth loss, one of the easiest way to give patients their smiles back is with dentures. Getting dentures in Syracuse, NY from your Syracuse dentists Dr. Karen Lawitts and Dr. Nancy Yeates shouldn’t make you feel older. Having a complete smile again should actually make you feel years younger! Find out how dentures in Syracuse, NY can improve your smile and your look. Dentures are prosthetic dental devices that are used to replace all or most of your missing teeth. Dentures can either be removable or fixed in place with implants, and they typically have a plastic, gum-colored base that contains a set of artificial teeth. They are custom-made to fit your smile based on impressions taken by your Syracuse dentist, and are a fast and inexpensive way to replace all of your teeth. When you lose a tooth there are other issues you’ll also have to cope with. If you don’t treat your tooth loss right away, the jawbone will also start to lose volume and density, causing your face to sink in and your skin to sag. Also, any natural teeth you have left will start to shift in to fill the gap. Unfortunately, these complications can also cause patients to look older than they actually are. Luckily, dentures can change all of this! They not only fill that gap where your missing teeth were, but also help to preserve facial fullness, so your skin doesn’t appear sunken in. Plus, having a full set of teeth will certainly go a long way to improving your overall appearance. Imagine the confidence that will come with being able to comfortably talk to friends, family and colleagues. Picture being able to go out to dinner and eat what you want without having difficulty chewing. These are just a few of the advantages that getting dentures in Syracuse can offer you. Ready to get that more youthful smile? Then it’s time to weigh your options and see if dentures are right for you. Call our office today and schedule a consultation with your Syracuse dentists to find out how you can get your beautiful smile back.